1st PLACE goes to Pacific Lutheran University with 298 Facebook likes! Harstad Hall housed all of PLU’s students from 1894-1912, and is named after the university’s founder and first president Bjug Harstad. 2nd PLACE goes to Tacoma Jones with 68 likes on Twitter. The Elks Temple, built in 1915-16. Currently vacant, but housing TONS of kinetic energy! 3rd PLACE goes to PJ Hummel & Company, Inc. with 56 likes on Facebook. At 2620 East G Street this 100 year old building started as the Tacoma Can Company, then housed the American Can Company, was once an aerospace engineering factory, and now is home to this wonderful event production company. 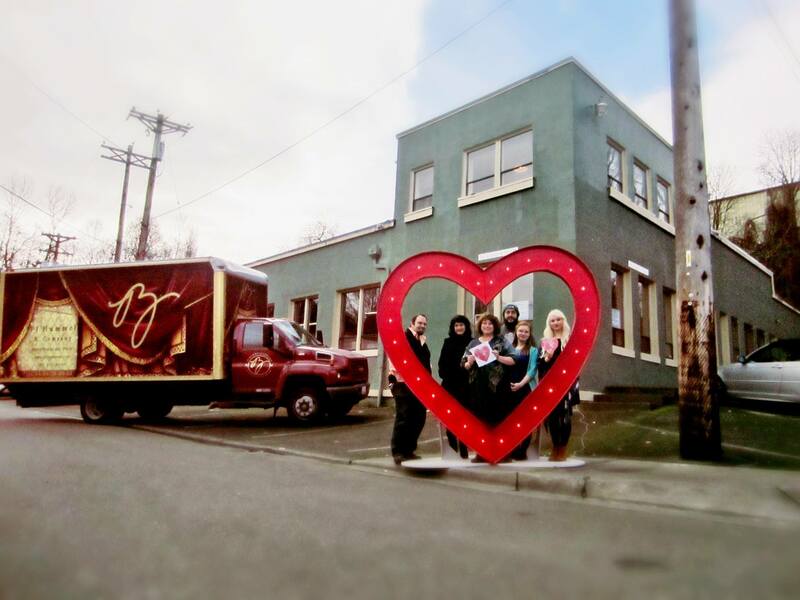 For the month of February 2015, The City of Tacoma Landmarks Preservation Commission teamed up with Tim Norris of TMN Creative and of Spaceworks Tacoma participant Tim + April, to conduct the #IHeartTacoma social media contest to show love for Tacoma’s unique historic character. 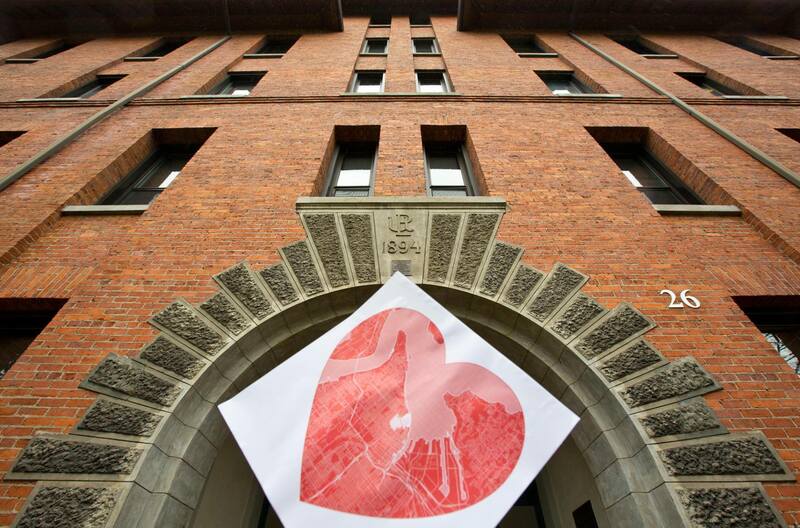 Folks from all over the city took pictures holding the Heart Map in front of their favorite Tacoma historic building (50 years old or more) and posted it with the hashtag #IHeartTacoma. The three winners featured above received the most likes/hearts/retweets/shares/you get the point. It’s wonderful seeing the historic character of Tacoma being shown off, and appreciated via new modes of social media. 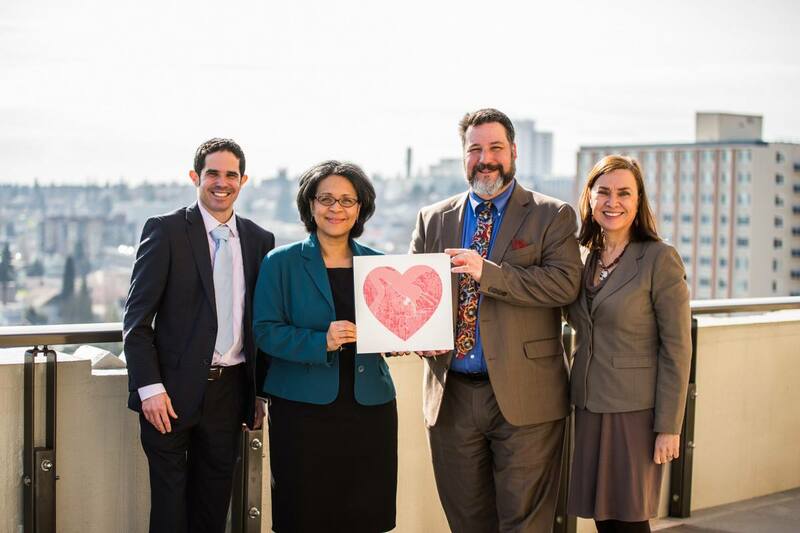 From left: Council member Ryan Mello, Mayor Marilyn Strickland, Council member Marty Campbell, and Council member Lauren Walker.